I’ve always been curious about those super thin flexible solar panels. So I was thrilled when a company called Lensun Solar asked if they could send me one for review. It couldn’t have come at a better time for me. I’ve been kicking around the idea of building myself a portable remote ground panel for my boondocking adventures this fall. 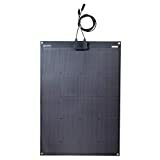 The 100-watt flexible panel they sent would be ideal since it is lightweight and can be easily mounted on so many surfaces. 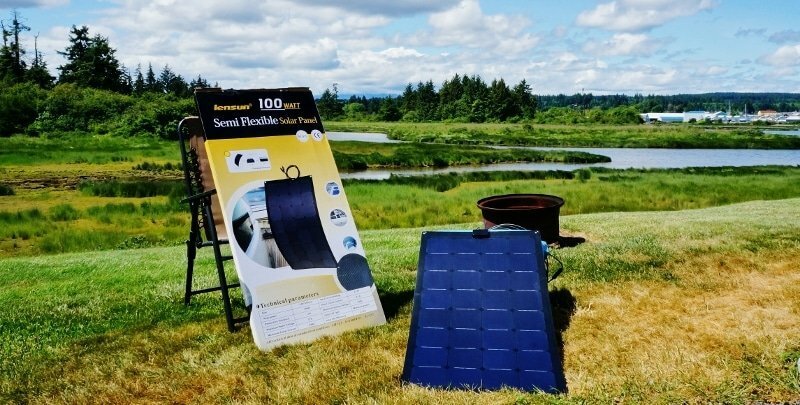 The kit included a 100-watt semi-flexible solar panel Model LS-100FX2, a 10 amp PWM solar charge controller and battery hookup wires with alligator clips. They neglected to send me a set of MC4 cables to connect the solar panels MC4 connectors to the charge controller, so I picked a 15 foot set for myself locally. My first impression of the 100 watt Lensun flexible panel is quite good. It appears well-made and has an attractive looking flat black matte finish to the front side. It was even thinner than I had imagined at only 2.5 mm and very light weight at around 5-6 pounds. 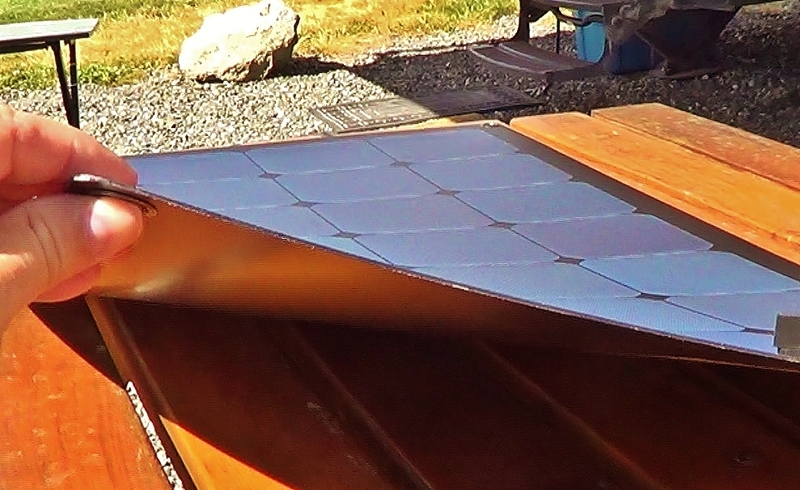 The panel is 43.3 inches long by 22.4 inches wide with 32 Sunpower solar cells laid out in 4 rows of 8 cells. On the front is a flush mounted IP65 rated waterproof junction box with 3 feet of MC wire and connectors. The backside is made of black fiberglass material rather than heavier aluminum. 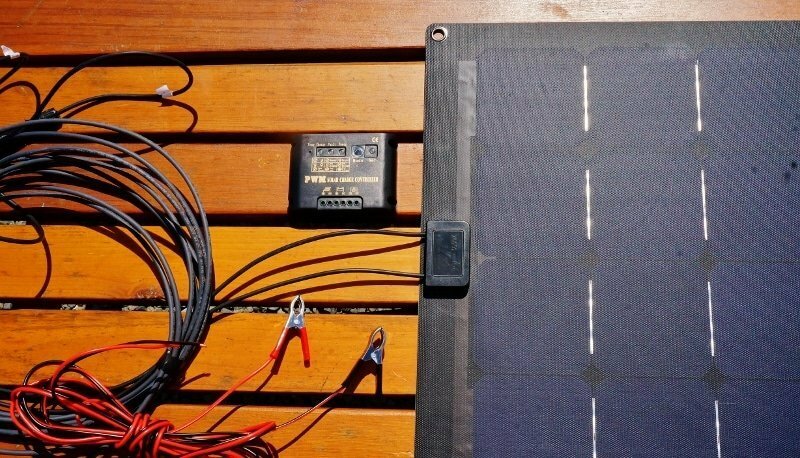 The included solar charge controller is an inexpensive PWM unit which is adequate but nothing special in my mind. I will use it for test purposes but in the future, I plan to use my already installed Bogart SC2030 charge controller with the new panel. 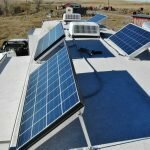 My current solar system consists of 4 – Renogy 100 rigid solar panels mounted on the roof. The new Lensun panel will be used in parallel with them. I decided to test out the Lensun 100 watt panel in two ways. One – using the supplied PWM charge controller and measuring its output current with a multimeter. 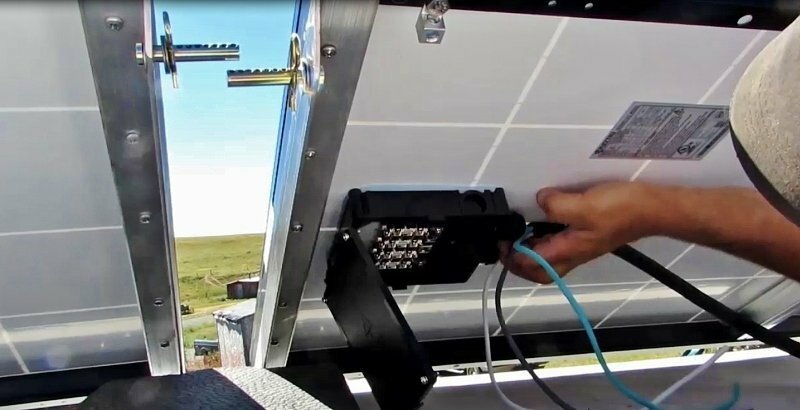 Two – adding the Lensun panel into my existing RV solar system and measuring the increased current it provides. Tests were done at approximately 10:30 in the morning at 50 degrees latitude on May 29th with a clear blue sky. 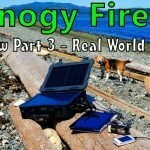 I let the four 6-volt battery bank in my RV run down to about 80 percent charge so it would be ready to accept as much amperage from the PWM controller as possible. I placed my multimeter in amperage mode in the positive output line of the controller. With the panel laid flat on the campsite picnic table, I measured an output current of 5.8 amps at 13.2 volts. Next, I tilted the panel perpendicular to the sun for optimum power generation and measured a current reading of 6.9 amps. I was impressed, these amperages are as good as or better than what my 100-watt Renogy panels produce. For this test, I simply added the Lensun 100 watt panel to my existing system by wiring its output MC wires into my Bogart SC2030 Charge Controller then checking the total solar current being produced using my Trimetric TM2030-RV battery system monitor. 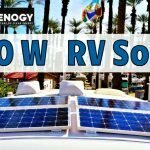 I laid the Lensun panel flat on the RVs roof beside my 4 – 100 watt Renogy panel array. Total solar current output was measured at 24.4 amps. 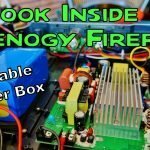 I then disconnected the Lensun panel and the reading dropped to 19.1 amps a difference of 5.5 amps. 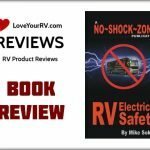 Note: The Renogy panels have slight tilts to them due to the front roof slope of my fifth wheel trailer. – To start with they use high-quality solar cells – Grade “A” Sunpower Back Contact monocrystalline cells with high efficiency up to 22%. Many cheap panels use grade “B” or “C” cells. – The panel uses a more expensive material (imported from Japan) called ETFE (Ethylene Tetrafluoroethylene) versus PET (Polyethylene terephthalate). The ETFE film layer absorbs light better with less reflection leading to more power per square inch. – The ETFE material is much more durable that the cheaper PET for a longer lasting panel with less surface deterioration over time. The ETFE material bonded with the fiberglass back sheet makes a stronger panel than a cheaper PET film one with less chance of cracking or water intrusion. 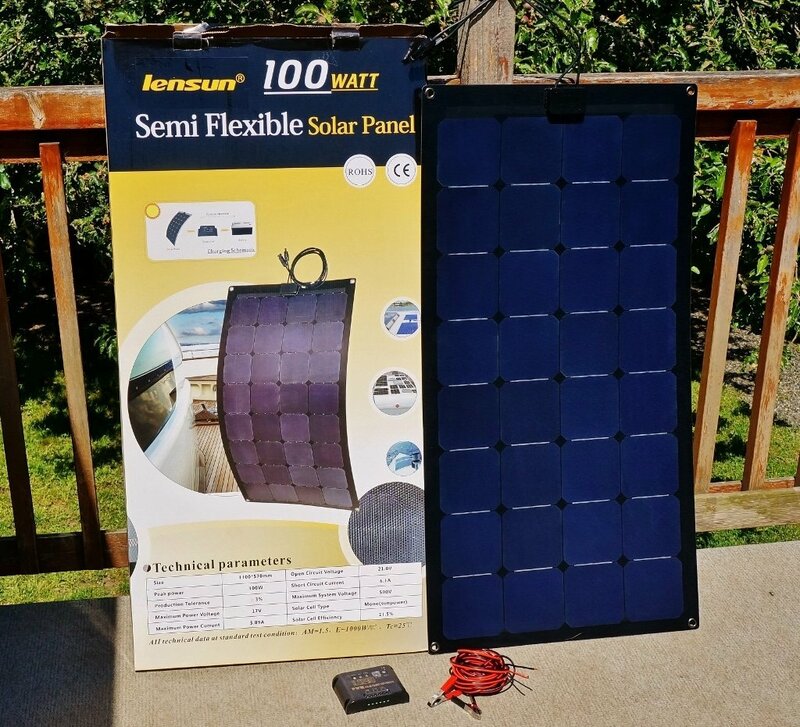 – The Lensun semi-flexible panel may be walked on with soft soled shoes. 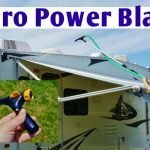 – Easy to mount on almost any surface using the 4 built-in grommets, adhesive or heavy duty Velcro, perfect for RVs or boats. I have to say I’m super impressed with the build quality and power output of this Lensun Semi-Flexible 100 watt solar panel. The tests results turned out much better than I had envisioned. 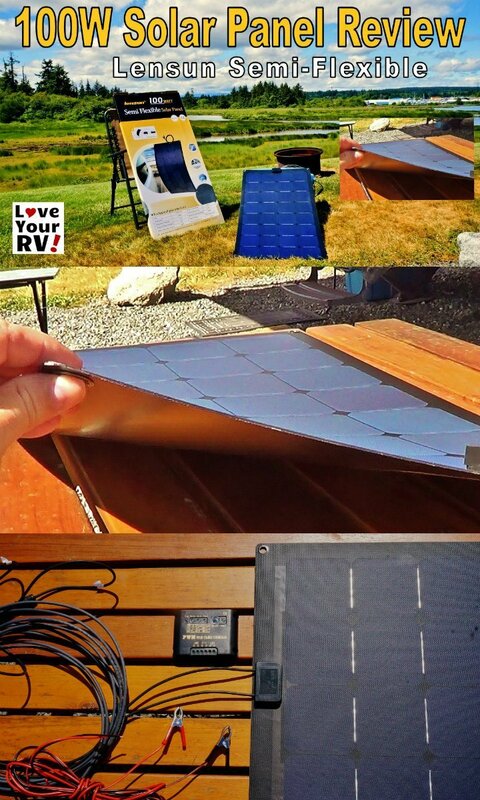 It has encouraged me that it will make a terrific lightweight remote panel for my boondocking RV solar system. I look forward to building a tiltable frame for it this summer. Stay tuned to the blog for a post and video with build details and demo. I think the Lensun semi-flexible panels would really shine for solar installations on RVs such as a campervan, Airstreams or small teardrop travel trailer where roof space is at a premium and curved. Or where traditional rigid solar panel mounting methods aren’t very desirable. If I have to come up with anything negative to say it would be the lack of reviews and history out there on the Lensun solar panels. I couldn’t find much with an internet search other than a few references in some sailing and boating forums. So far I give them a Love Your RV! thumbs up. But, as with any new technology, no one knows how things will perform long term in the real world. 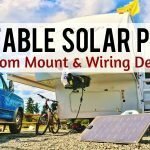 I’m cautiously optimistic that these flexible solar panels designed with a harsh marine environment in mind will withstand the test of time in the RV world. I will definitely be putting it through its paces come this winters snowbird season in the desert sun.